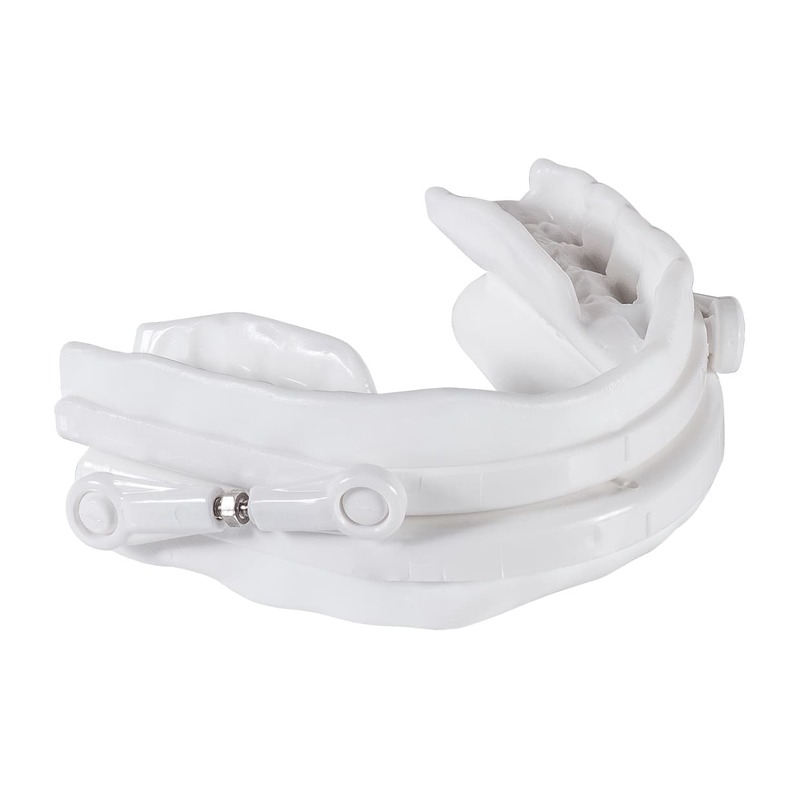 SomnoGuard® SPX is a two-piece, adjustable mandibular advancement device (MAD). 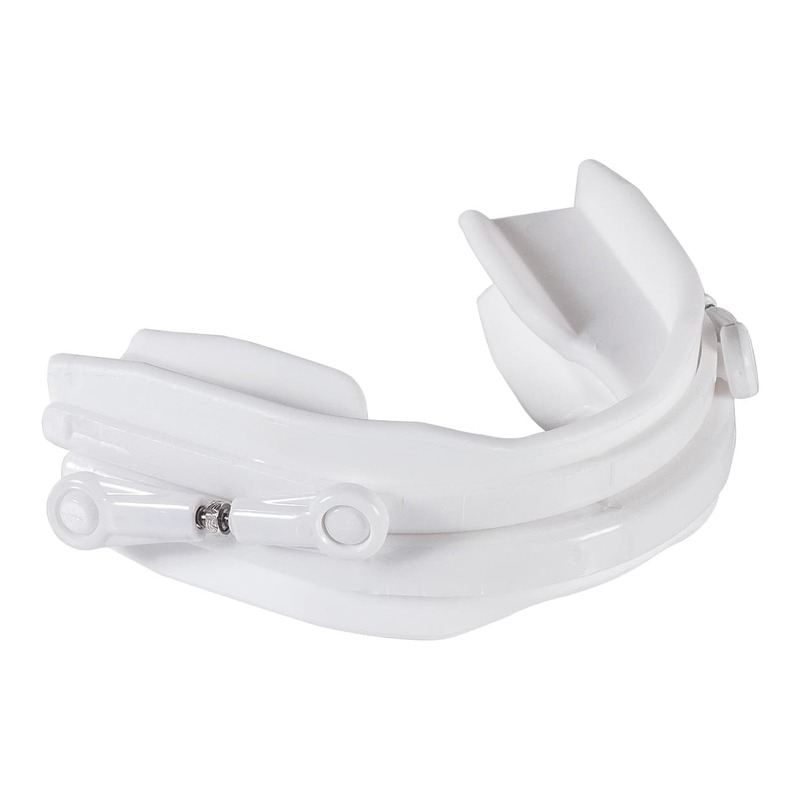 It is the latest development in the field of prefabricated SomnoGuard® mandibular advancement devices. The two oral trays consist of a hard outer tray shell and a prefabricated thermoplastic material with memory effect. After heating the trays in a hot water bath, the thermoplastic material becomes easily mouldable. Teeth impressions are formed when biting into the soft material (comparable with a dental impression). After the oral appliance cools down in a cold water bath, the material hardens and maintains its new shape. A special slot mechanism in the centre of the front part of the oral appliance allows the width of the tray to be altered. After heating the trays in a hot water bath, they can be adapted according to the jaw size by gently pulling the trays apart or pressing them together. Thanks to the memory effect, the thermoplastic material reverts almost to its original form when reheated. This allows the fitting of the trays to be easily repeated if the fit is not optimal. 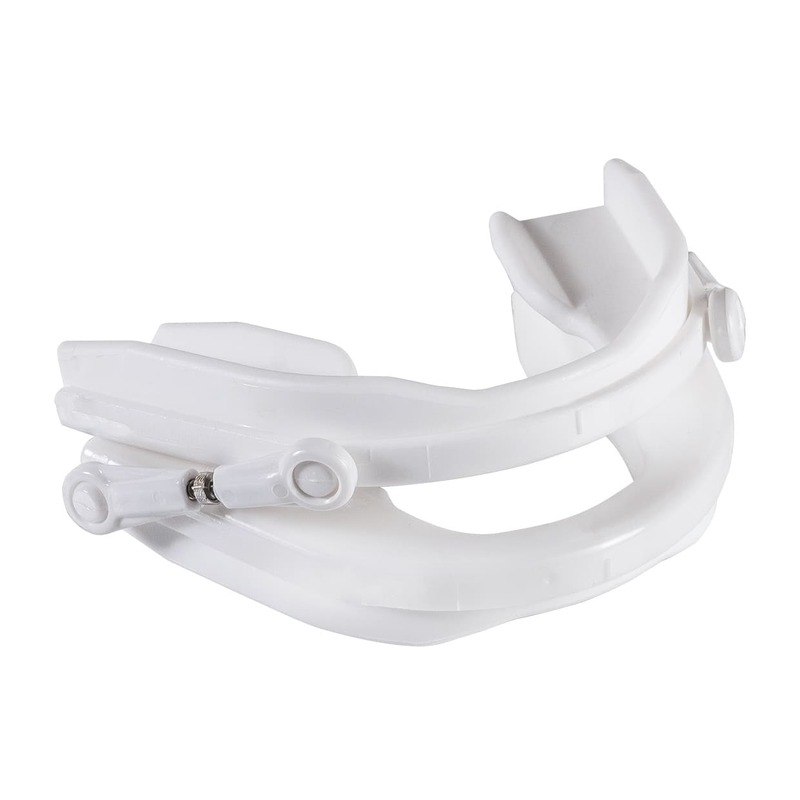 The two-piece, adjustable mandibular advancement device mainly encloses the less sensitive rear teeth and the front teeth only from the front side. Thereby less pressure is exerted on the dentition. SomnoGuard® SPX allows mouth breathing and a slight mouth opening. 1. Heat the trays in a hot water bath for approx. 40 seconds. 2. Bite into the soft thermoplastic material. It forms according to the teeth and leaves a dental impression. 3. Cool the trays in cold water to harden the material. 4. Connect the trays using the two side connectors. 5. The lower jaw advancement can be continuously adjusted by turning the screws in the middle of the connector. For more information on the fitting, see the detailed user instructions in the download area and the following fitting video. Note: To achieve an optimal therapeutic result, we recommend that SomnoGuard® SPX is fitted by physicians or their trained medical staff. How to adjust the protrusion of SomnoGuard® SPX? Two connectors of equal length connect the upper with the lower jaw tray. The lower jaw advancement can be infinitely adjusted from approx. -3 to +6.5 mm by turning the screws between the connectors with the spanner. The opening of the respiratory tract depends on the extent of the adjusted lower jaw advancement. Snoring and nocturnal breathing stops can thus be reduced. 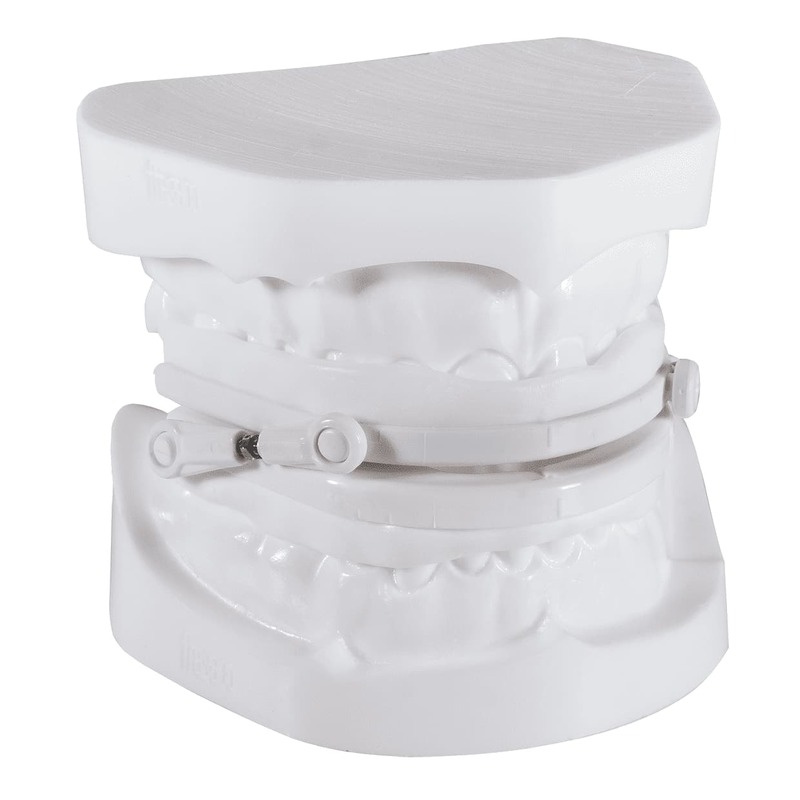 Who is the SomnoGuard® SPX mandibular advancement device suitable for? The SomnoGuard® SPX mandibular advancement device is suitable for every jaw size, also for patients with a receding lower jaw (retrognathia). Tip: You are unsure which of our SomnoGuard® oral appliances is best for you? Take a look at our SomnoGuard® comparison in the download area. Here the different features of the oral appliances are compared. The thermoplastic plastic material used is biocompatible and contains no allergens, no latex, no silicone and no plasticizers (such as BPA). Where can I buy Somnoguard® SPX? 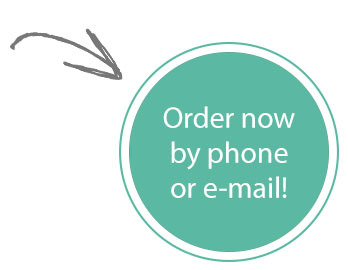 You can buy the Somnoguard® SPX mandibular advancement device at a pharmacy or directly from us by telephone, fax or e-mail (sales@tomed.com). You can also use oral appliances in combination with other anti snore devices, such as our Airmax nasal dilator or positioning aids. You are looking for a long-term oral appliance therapy against snoring and OSAS? Then our custom-made mandibular advanement device SomnoGuard® AP Pro is the right thing for you.